The Super Plush Junior Microfiber Towel is a thicker, plusher version of our original Junior Towel. If you liked the original towel, you�ll love the Super Plush Junior! 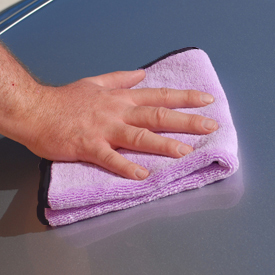 This towel is made of 600 g/m� microfiber, which is ideal for buffing and quick detailing. Sink your hands into a Super Plush Junior Microfiber Towel and feel the difference! This towel�s birthplace is Korea but you could say its upbringing was in China. The result is the best of both worlds. The luxurious microfiber was woven by a Korean company who owns what we call a splitting machine. This machine is responsible for the absorbent split-weave that is found in towels. 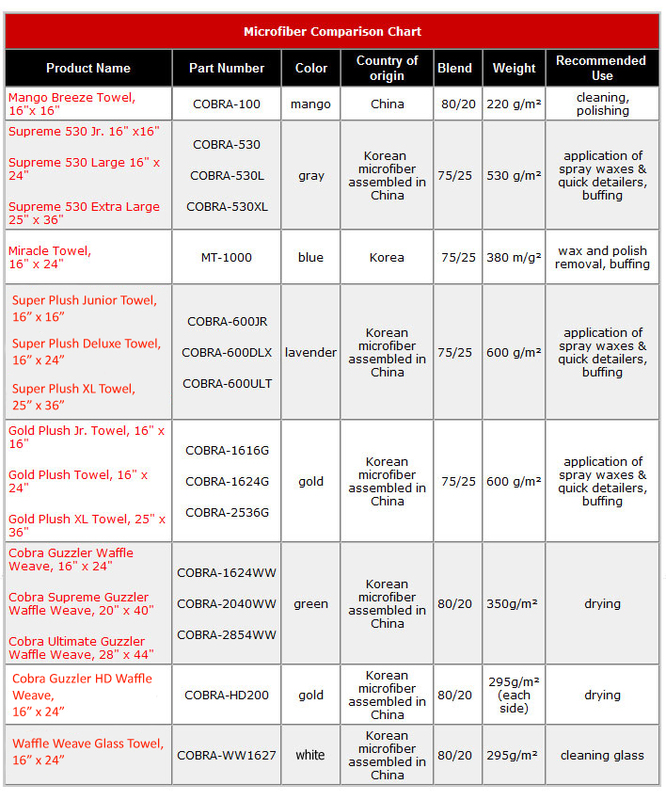 Because of the expense of this machine, it�s uncommon in Korea and nowhere to be found in China. However, the cost of labor in China is much lower. By having the fabric woven in Korea and the towels cut and sewn in China, we�ve acquired these towels at a substantial savings while maintaining quality. When you use the Super Plush Junior Microfiber Towel, you�ll feel the quality in the thick, plush weave. 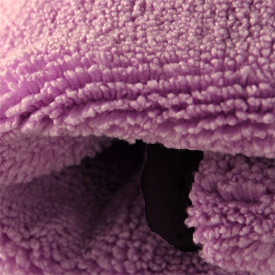 The towel�s thick, dense microfiber weave is luxurious and functional! The Super Plush Junior Microfiber Towel is perfect for buffing because it has a deep pile where dirt and dust can accumulate away from the paint, rather than being rubbed into the paint. Plus, the long, silky microfibers do an excellent job of massaging away fingerprints and smudges. Dampen the Super Plush Junior Microfiber Towel with water to turn it into an all-purpose cleaning towel. Use it dry to quickly dust off your interior surfaces. Buff your vehicle when applying spray wax. Because it�s Microfiber, the towel has a tremendous capacity for water. Use it to dry your vehicle and apply a coat of spray wax at the same time. This simple technique prevents water spots and deepens the paint�s gloss. The options are endless! And there�s more! 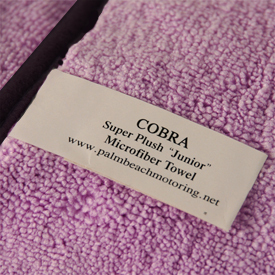 The Super Plush Junior Microfiber Towel has a removable tag. Instead of the tag being sewn into the towel, the tag information is printed on a sticker. Just remove the sticker prior to use. Without a tag or stitching around the edges, this towel is totally microfiber! Note: Remove the sticker before washing the towel.